Patricia Summers speaks on the story and struggle of bringing a New Message from God into the world and how this New Message is seeking its relationship with Humanity now, in 2012. If you take the people closest to this man, who is in a position to have to proclaim that this is so of him—that he is the recipient of a Revelation that describes and defines itself as a New Message from God and who has had an undeniably powerful experience of Revelation and contact and realization about the nature of his origins and the nature of the relationships that exist beyond this world that sustain him in this process of revelation, that’s the truth. And what has streamed forth from this singular individual, who has only been able to do this because of the power and the force of this Revelation, only been able for 30 years to submit to this process of Revelation and to be a husband, a father and to guide a fledgling community that through some manner found this, on their own—these individuals who themselves submitted themselves to a process of relinquishment and surrender to help him because he’s in a process of relinquishment and surrender, so that’s a miracle! I think he is in the earnest position to tell the truth about what has been happening to him and through him and what he knows of himself. This is a huge enormous phenomenon in the making, a huge enormous story in the making, that in a sense even now is just beginning, because beginning from the perspective of beginning to move across the world. I mean this is a Message that has the power to impact people worldwide. And through the devotion of simple people, it’s being translated so that process can take place and is taking place. This is a very powerful story, and almost on first blush, it looks simple, like a simple story, but it’s not. When I say simple—one man, one woman, a small child that over the years and decades became a devoted son, a few small people—small in stature in a sense, small and yet free to join this man because they weren’t so embedded in lives of significance. There’s your story, in the offing. And there are other stories that surround this man that need to be told. There is the man. There are those that joined the man, that are his initial witnesses. There is this incredible Revelation that’s undeniable, that exists, that’s been rendered, that’s available, that can be heard. Then there’s the process of taking it to the world. With regard to you, Marshall, your story is beautifully simple in a sense because it’s not so interesting that people can stay there for a long long time carrying out their inquest. There’s not a lot there, in a sense. It’s just a man and his Revelation, a man and his family, a man and the few people who could stay with him for a long, long time. And so people have to move on to the Revelation beyond that because we’re not spectacular, we’re not inordinately interesting, worth delving into endlessly. Here I am, a woman who’s been a nurse for 34 years. Do any of you know any nurses? Do you have a notion for what they might do for a living? Does that satisfy you? 34 years! So you want to know a little more about her, ok, that’s fine. You can know more about her, but it’s not like it’s a florid story. It’s just a woman devoted to a man, supporting the man, trying to maintain a relationship with her child, trying to endure the ins and outs and ups and downs of all the people around that small family unit. I mean that’s a story, but beyond a point, there’s not much more to it, so you have to move into the Revelation, and that’s good. It’s all been about the Revelation. It’s all been about the Revelation. It’s not been about the man. It’s all been about the Revelation, and it’s about the process of Revelation—both as it transpired to produce this huge vast Message from God, but also this process of Revelation that does transpire and has the potential to transpire within people everywhere. This is the great story to come. But what is truly spectacular is the Revelation itself and your revelation experience and the Voice of Revelation, and the utter compassion of this Voice of Revelation. It’s magnificent. This has the power to address those needs, in those times to come. It’s not the product of one individual. One individual could never ever produce this. So this is a Revelation in search of its relationship with humanity. So this is a whole part of the story that’s yet to come—how people respond to this once they begin to develop a relationship with this Revelation, and they begin to acknowledge their own connection with God and how that connection impacts their lives. 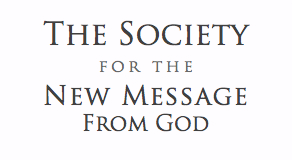 To what degree has it and to what degree will it as a result of their engagement with the New Message from God? This is the story to come, and it’s phenomenal because it will go way beyond our time and hopefully fill out the canvas. So this is not a Messenger-centric Revelation where we spend the next 2000 years adorating this Messenger, this Prophet, this Messiah and neglect once again the role and the responsibility we all have to God, to the Angels of God, to each other and to this world. So the New Message from God places this power and responsibility within the circumference of our stance individually and where we all are in the world and where we will all be in history because of what history we have ahead of us.